With Darcy WE Allen, Aaron M Lane and Jason Potts. Review of Austrian Economics, 2018. Abstract: Democracy is an economic problem of choice constrained by transaction costs and information costs. Society must choose between competing institutional frameworks for the conduct of voting and elections. These decisions over the structure of democracy are constrained by the technologies and institutions available. As a governance technology, blockchain reduces the costs of coordinating information and preferences between dispersed people. Blockchain could be applied to the voting and electoral process to form new institutional possibilities in a cryptodemocracy. This paper analyses the potential of a cryptodemocracy using institutional cryptoeconomics and the Institutional Possibility Frontier (IPF). The central claim is that blockchain lowers the social costs of disorder in the democratic process, mainly by incorporating information about preferences through new structures of democratic decision making. We examine one potential new form of democratic institution, quadratic voting, as an example of a new institutional possibility facilitated by blockchain technology. Available at the Review of Austrian Economics. Earlier working paper available at SSRN. With Sinclair Davidson and Jason Potts. Originally a Medium post. Blockchains are constitutional orders — rule-systems in which individuals (or firms, or algorithms) can make economic and political exchanges. In this sense, blockchains look a lot like countries. They have currencies (tokens), property (digital assets), laws (protocols), corporations (DAOs), and security systems (proof-of-work, or proof of stake, or delegated byzantine fault tolerance, etc.). And like countries, blockchains have systems of governance. Satoshi built one system of governance into Bitcoin: how the network comes to a consensus when miners announce two equally valid blocks to the network. The protocol (the constitution) resolves this problem by incentivising nodes to prefer the chain with the most work. But this is a tiny fraction of the governance questions that just surround Bitcoin. How should the Bitcoin network be upgraded? Who decides? How should the various interests be accommodated — or compensated? In these blockchain governance debates — disputes about whether governance should be on-chain or off-chain, who writes the rules, who can be a node, the role of voting, and the relative position of protocol developers, miners, block producers, HODLers and third party applications — we’re seeing the history of thinking about political economy being rediscovered. Happily there exists an enormous body of thinking on governance, constitutions, the function and efficiency of voting and voting mechanisms, and how power is allocated in a political and economic system. Historically, experimenting with new constitutions has involved things like civil war, secession, conquest, empire, and expropriation. The English fought civil war after civil war to limit the power of the monarch to tax. Expanding the franchise involved protest and violence. In the real world, constitutional experimentation is costly and slow: limited by the rights and preferences of real populations and the real endowments of physical land and property. By contrast, blockchains offer a space for rapid, hyper-experimentation. New constitutional rules can be instantiated by a simple fork. New protocols can be released in months or weeks. Blockchains are an environment for institutional innovation — a place to apply hundreds of years of thinking about political governance. For instance, networks such as Decred, NEO and EOS use voting to manage their decentralised consensus mechanisms. Vitalik Buterin and Vlad Zamfir have argued that on-chain governance is overrated. What this debate is missing is an understanding of the economics of politics. Blockchain developers aren’t writing protocols — they’re writing constitutions. And we know a great deal about constitutional design and voting mechanisms. The first thing we know is that choosing the rules of a voting system is effectively choosing the result of the vote. The eighteen-century mathematician the Marquis de Condorcet found that a three cornered vote using a simple majority rule might not come to a clear consensus on the winner. A might beat B, B might beat C, but C might beat A. The ‘ultimate’ winner of this cycle will depend on how the votes are ordered. Kenneth Arrow generalised this into his impossibility theorem: there’s no unique procedure that reliably comes up with a stable ordering of aggregated preferences. A set of quite reasonable institutional assumptions — such as no dictator, the independence of irrelevant alternatives and so forth — can’t be combined. The lesson economists have taken from all this is: tell me what you want, and I’ll design you a mechanism to get it. What matters is how we decide how to decide. 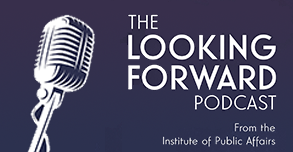 Public choice scholars have focused on problems how political agents shape their policy positions to suit median or marginal voters. Retrospective voting models suggest that voters assess how happy they are (in general, not just with politics) at the time of voting and vote for or against incumbents on that basis. Other scholars have focused on why people even bother to vote — given there is a miniscule chance that they can change the outcome of a vote. This had led scholars to the theory of ‘expressive voting’, where voting is effectively a form of consumption or signalling. This is a rich body of political and economic theory that has been absent from the blockchain governance space. For instance, is voting a positive or negative externality? It depends on what the purpose of the voting is. If preference aggregation is your goal, ‘low-information’ voting is a problem — it introduces noise. Blockchains should then tax voting. However, if simple legitimation is the purpose of voting (as Vlad Zamfir argued at the Ethereal conference) then even low-information voters add value. Ideally the mechanism would subsidise all voting. The incentive design problem for blockchain voting depends on what you think the purpose of the voting is. And it turns out that this question has been one of the over-riding concerns of economists, philosophers and political scientists for hundreds of years. Abstract: This paper argues that populism in the era of Donald Trump and Brexit is a reaction to high transaction costs between citizens and the political class. In the Westminster system, voters delegate large amounts of decision-making power to elected representatives, who in turn delegate much of their decision-making power to an executive government. A transaction cost analysis helps make concrete the ideas of reduced individual political autonomy, lost national sovereignty, and alienation from political elites that run through populist rhetoric and action. The treatment for problem of populism should focus on reducing those transaction costs. Democratic structures are shaped by the prevailing institutional and technological limitations in which they were designed. One new technology, the blockchain, offers a set of mechanisms to significantly reduce transaction costs in matching, writing and enforcing contracts. The paper provides an outline of how a ‘crypto-democracy’ would function and how it might address the problems of political transaction costs. Crypto-democratic relationships treat political delegation as a series of contractual relationships from citizen to an executive decision-making structure. Citizens contract among themselves to delegate or reserve decision-making power. In a crypto-democracy, democratic structures – i.e. legislatures, electoral bodies, voting systems, and executive authorities – are not designed but rather emerge in a Hayekian process of contractual interactions between political citizens exercising their property rights. The analysis sheds new light on the underlying structure of our current system, its costs and the populist backlash to those costs, and directions for liberal reform. Working paper available at SSRN. Abstract: Representative democracy consists of a chain of delegation from voters to the executive and a corresponding chain of accountability, with some questions (particularly constitutional questions) reserved for popular vote. This structure reflects the high transaction costs of coordinating preferences among a large and diverse population, which has in part been determined by technological limitations. A new technology, blockchain, significantly reduces transaction costs. This technology turns out to have significant implications for democratic governance. In a crypto-democracy, voters have contractual relationships that allow them to unbundle, delegate, re-rebundle and reserve their voting power. Rather than planning our democratic structure and thus restricting opportunities for political exchange, the use of blockchain in a crypto-democracy allows us to ‘grow’ a democracy in a Hayekian framework. We live in a fundamentally undemocratic age. Governments treat their citizens as incapable of making decisions for themselves. Policy-making power has been taken out of the hands of elected politicians. Poll after poll shows the public are unhappy with democracy itself. 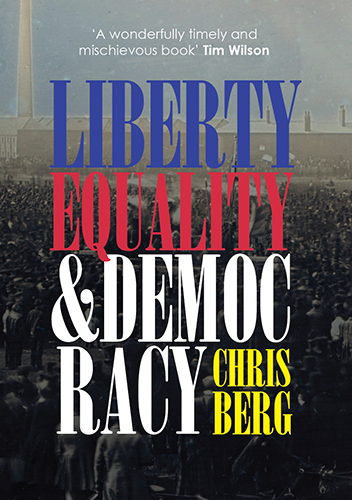 In this wide-ranging book, Chris Berg makes the case for radical democratic equality, and a democracy order that truly respects the equality and rights of its citizens.